For the past few years, we’ve enjoyed the popular Lavender Festival in Washington and Yamhill County, Oregon. Covering North Plains to the north, south to McMinnville, and east towards Beaverton, many farms around the area hosting beautiful gardens, food, galleries, shops, games, and artwork. This year the Oregon Lavender Festival is July 9-10, 2011, in Yamhill County. The other local lavender festivals run the first two to three weeks of July, alternating weeks so they aren’t all at the same time across the various communities. 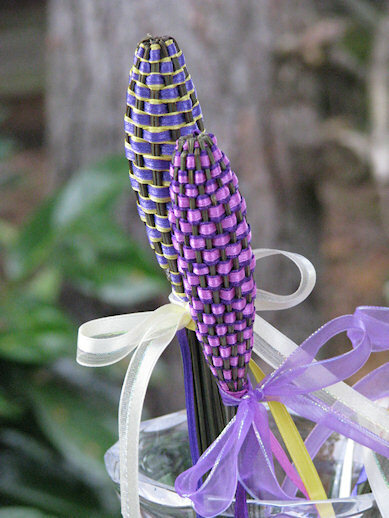 I learned how to make lavender wands one year and spent part of the summer making them for gifts for the holidays. We tasted lavender ice cream (yummy!) and the most refreshing lavender lemonade, and had a great time looking at all the amazing arts and crafts created in this area. Here are a few images from the past two years of festival fun, lavender making, and more from around the county. This article was posted in Photography and tagged beaverton, festival, gaston, lavender, lavender festival, mcminville, north plains, oregon, washington county, yamhill, yamhill county. Bookmark the permalink. Follow comments with the RSS feed for this post.Post a Comment or leave a trackback: Trackback URL.